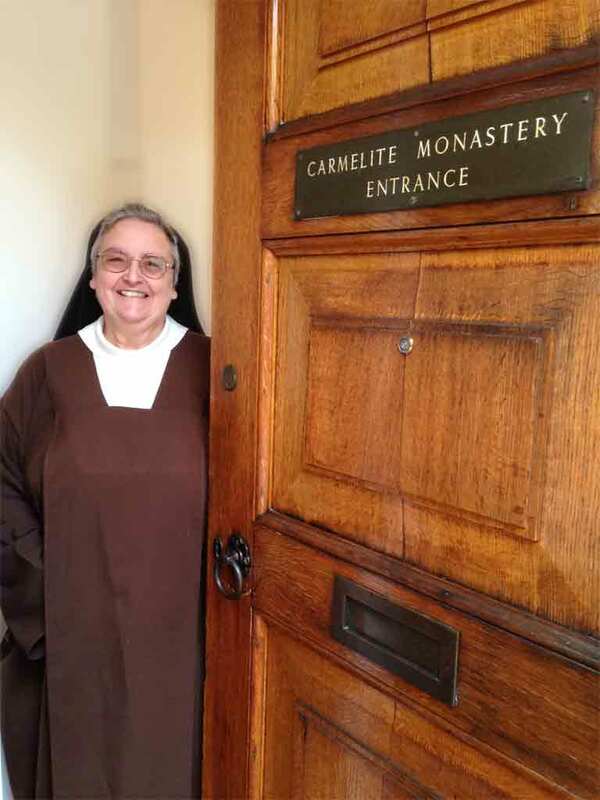 We warmly welcome all who come to the monastery to visit us or to share our life of contemplative prayer and silence. There is a special area outside the enclosure where visitors may come. 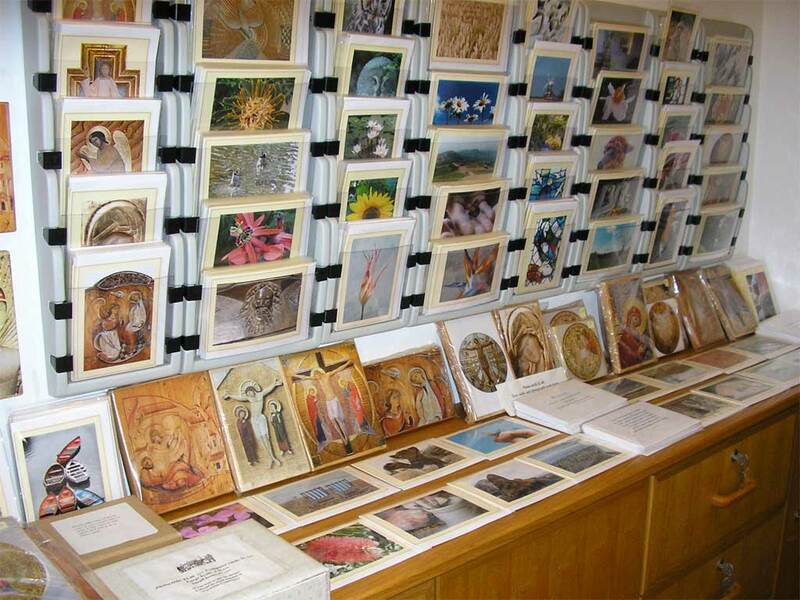 Cards and icons made by Sisters are available for sale. 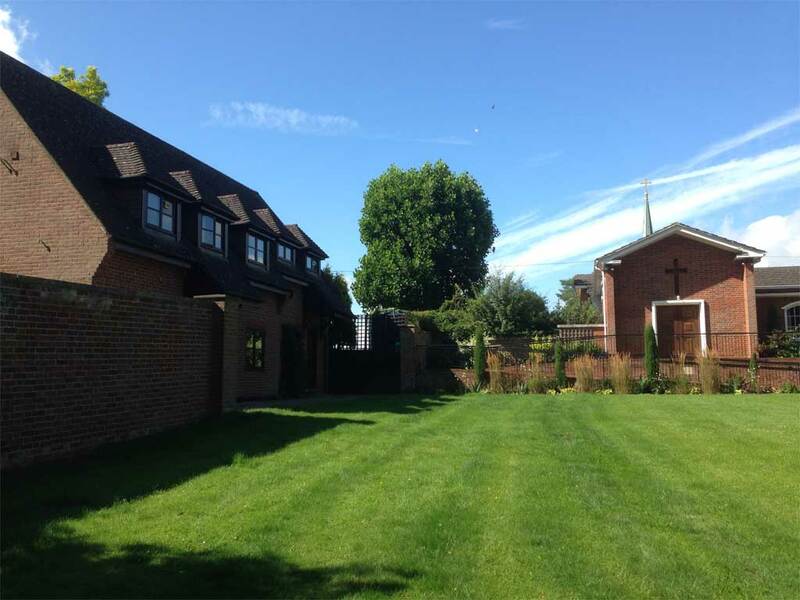 Anyone may join us in the guest chapel for the Office, Mass or a time of silent prayer. 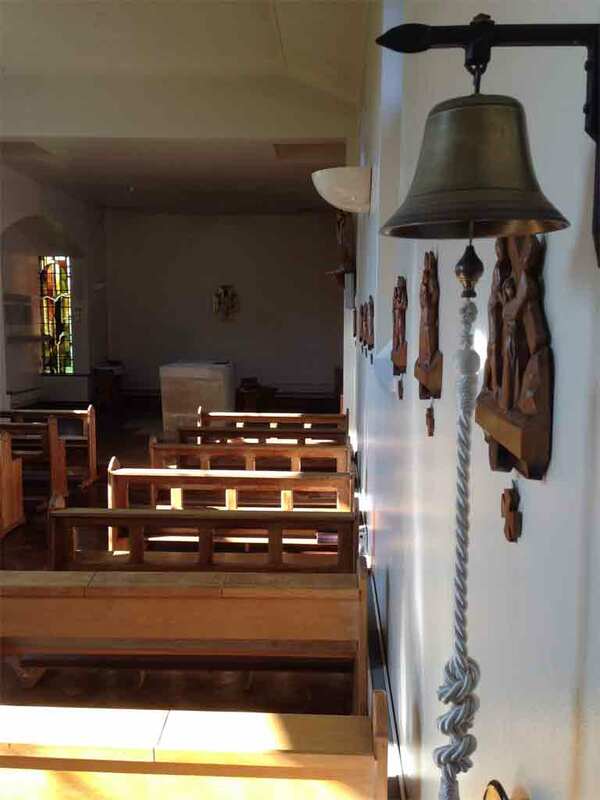 If you find the Chapel is locked when you arrive, please come to the front door and ring the bell. Family and friends are welcome to visit us from time to time. 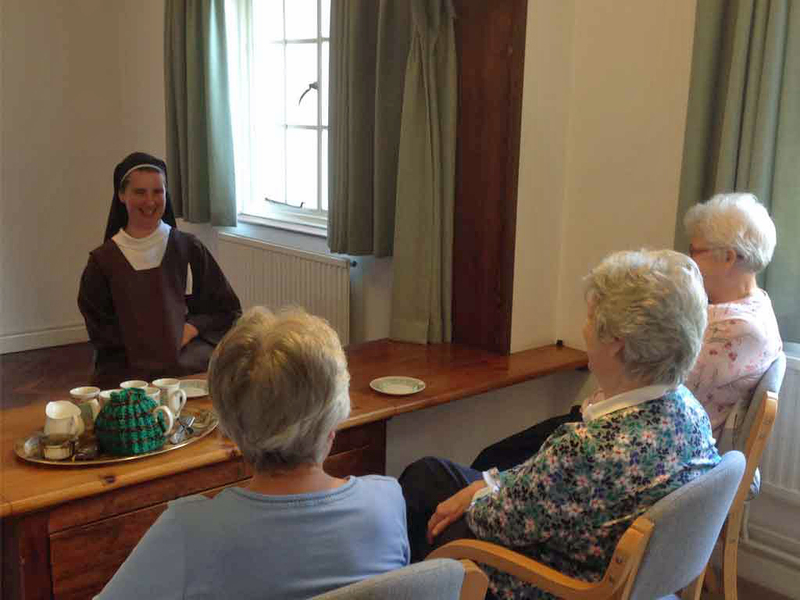 To protect the atmosphere of silence in the monastery, we meet with our guests in special rooms, or 'parlours', in an area set apart for this purpose. There are two doors into the parlour, one from the guest side and the other from the nuns' enclosure. A tray of tea and cake is usually provided for us to share with our guests! We have a guest house, with four bedrooms, where our visitors are able to stay. This is not a retreat house, and is not always kept as a place of silence. Rather, it is designed to be welcoming and comfortable for our families and friends, including toys and games for younger visitors, a fully equipped kitchen and a garden. It may also be possible to come for a couple of quiet days or a self-directed retreat. However, this is subject to availability as we have many requests for accommodation.